The Parbright Magnetic ballast is a quality piece of equipment required to regulate the power fed to High Intensity Discharge (HID) lamps. 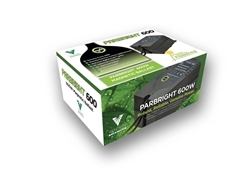 All HID lights need a ballast and the Parabright Ballast offers a cheap and reliable option for growers of all levels. 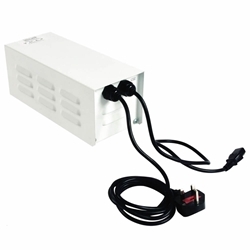 This magnetic ballast benefits from being quiet, fully vented and extremely durable. 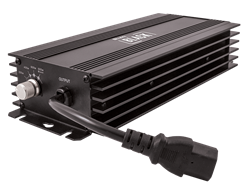 This quality, digital ballast is great value for money and extremely reliable. 150w Maxibright Digilight Ballast provides more PAR light (usable plant light) and uses less electricity than traditional magnetic core and coil ballasts. The digital intelligent ignition feature prevents electrical surges when multiple ballasts start up, there is also soft start technology, which increases lamp life. The 150w Maxibright Digilight Digital Ballast can be used with HPS and MH lamps and is RF shielding so will not interfere with other electrical equipment in your home. Note – Digital ballasts run much cooler than magnetic ballast but can still be warm so should be located on a firm flat surface (not carpet) in a well-ventilated area.Maxibright Euro Reflector With 5m IEC Lead. A ballast is effectively a transformer which boosts the supply of electricity flowing to your grow lamp. They are an essential part of any High Intensity Discharge (HID) lighting system and come in two varieties: magnetic or digital. 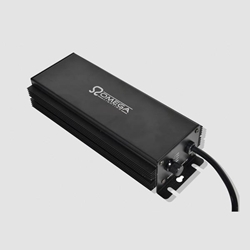 Magnetic ballasts (such as the Corona Hobby Ballast) are usually cheaper and are a great choice for entry level growers or those buying multiple units. Whilst still providing excellent results, magnetic ballasts tend to create more heat and noise than their digital counterparts. Digital ballasts, by contrast, produce very low levels of heat and noise – and therefore tend to be more efficient when using electricity. Some of these ballasts are also dimmable, meaning you can alter the output of your lamps to meet the needs of your plants/environment. Whichever ballast you choose to go for, you can be sure that you are buying a high-quality piece of equipment. If you have any further queries or questions then do not hesitate to contact us via email, over the phone or in person at our central South West London store.